Mental Mercury has entered psychic Pisces, the sign it will be in through mid-April due to Mercury’s coming retrograde cycle. This extra-long cycle helps you raise your vibration, open to a higher vision and enhance your intuitive abilities, so be sure to keep up with your meditation practice this week, for sure. This energy also bursts illusions and fantasy-thinking to get you to that higher spiritual vision and open your creativity. The Moon moves into hard-working Taurus Sunday through Tuesday, so make tangible gains through concerted effort. Mars and Uranus have been coming into alignment for a couple weeks now, and the exact line up Tuesday evening. This is a revolutionary energy that can bring upsets in government and country leadership or can bring brilliant insights, helping you to create new ideas that will set you free. On the flip side, avoid impatience, angry people, and confrontations with authority figures. Even though Valentines Day is on Thursday, February 14th, it’s Mars we need to keep an eye on. The planet of war seems to be overriding the planet of Love. It all starts on Wednesday, when Mars (the planet of war and male creative force) joins Uranus (planet of explosions and sudden outbursts) that brings in an explosive, hot blooded, I’m having it my way energy with little regard for consequences. This can be very dangerous, leading to uprisings and violence. 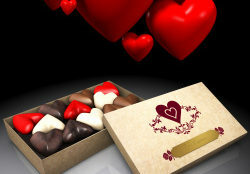 However, the Moon moves into talkative Gemini on Wednesday through Valentine’s Day. This is a lighter energy that can bring in sudden improvements along with changing one’s mind for the next six weeks. This sea of love will perhaps be more stable bringing in lasting love along with stronger finances. Also on Valentine’s Day, masculine Mars moves into Taurus until March 30th. A Valentine’s Day gift that has long-term value is a good thing to offer now. Taurus helps you get to work to build your desires and goals in the mundane world. Then, on Friday, the Moon moves into Cancer for the weekend, supporting home, family, cuddling, and comfort. Sunday is a bit mixed, but not in a bad way. The Moon in Leo opens hearts and creative pursuits. The Sun is making a gentle harmony with friendly Uranus to support sharing with friends, groups, and organizations. At the same time, love and money Venus is aligning with serious Saturn early on the USA President’s Day holiday. This is probably a better business combination rather than personal, but it does support down to earth conversations. To review, the volatility of this Mars-Uranus conjunction mid-week may have encouraged you to throw caution to the wind and forge ahead with a project regardless of the reality of your situation. The one thing you don’t want to do is to decide in haste and repent in leisure.